Little Bird is a startup that you should watch closely. 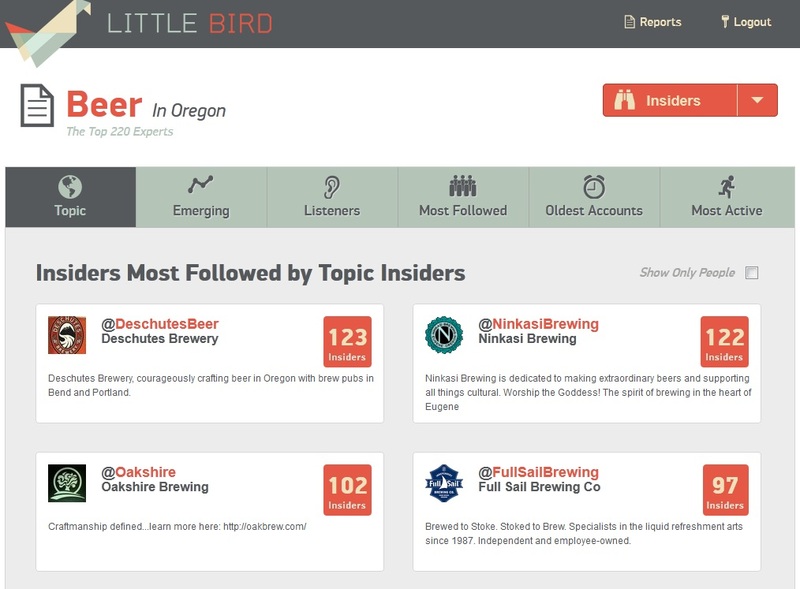 Launched by former ReadWriteWeb and Techcrunch writer Marshall Kirkpatrick, Little Bird launched in private beta today. The idea is simple: the easiest way to find the people and conversations to follow concerning a particular topic is to trace the sources back to the connections associated with it.